I can remember the surprise on the faces of my guests on the day that I went to my windowsill herb garden, snipped off a few sprigs of chives, and diced them into our spring salad. The conversation suddenly became more animated. A few of my guests were even hesitant to taste the salad as if what I had done is quite naughty! It’s as if the only “safe” food has to come from mass-produced and packaged ingredients from huge warehouses and wrapped in plastic. My little herb garden became quite the topic of conversation. Getting started with your herb selection is not all that hard. You just need a window with plenty of light to set them in and some herb seeds or seedlings. Be sure to choose a location in which you can hopefully enjoy the scent and beauty of your culinary herbs. If you will be growing the herbs on a windowsill indoors, visit our page on indoor herb gardening for additional tips. Your windowsill garden will need pots, soil, and either seeds or seedling plants. Of course, it is much easier if you use one of the numerous windowsill herb garden kits on the market today. You can choose an herb garden kit or select each component individually for a more custom window herb garden. The right combination of all three will add flavor to your meals for years to come! Here a few herb garden windowsill kits that are easy to set up. You will find many different types of kits, from a small self-contained setup that fits on almost any window sill indoors to larger outdoor window boxes. This pretty set of three white herb pots is super cute and comes with a coordinated drainage tray. Each pot 4 inches deep and wide, the perfect size for the store bought herbs available in the spring. Choose from 12 different herb labels to create your own custom set. This chic set makes a great housewarming or hostess gift! This three-piece herb planter set is just the right size to sit on a sunny windowsill. The waterproof tray is 16 inches long and 4-1/2 inches wide and includes a built-in reservoir to catch any water overflow. Each pot measures 5 inches square and will expand up to 5 inches tall. What makes this windowsill herb pot set unique is the silicone pots. They can be expanded as your plants grow giving them more room for root development. Just be sure to add more soil in the bottom! 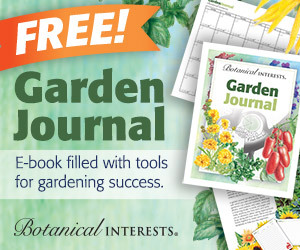 This is a perfect gift idea for your favorite cook or herb gardener who likes to grow their herbs from seed. This compact self-watering windowsill planter is long, narrow and is available in black or ivory. What makes this little planter special is the shape. It is long and slim, making it a great fit for the windowsill. This attractive planter is fourteen inches long and just four inches wide. The interior reservoir has a water gauge to ensure you need when your plant needs more water. If you are looking for something a bit larger where you can choose your own herbs, you can create your own window box. Making your own window box is a weekend project which can be completed in about half a day. The photo to the right is from an outdoor project article in Better Homes & Gardens. With a few screws, treated lumber, and tools, you can build an outdoor planter to fit on your window ledge. The decorative metal is actually copper tape and intended to deter slugs and snails from munching on your garden. If you’d rather start from scratch instead of buying a kit, there are several things you will want to consider. Should you choose Herb Seedlings or Seeds? A real green thumb may want to grow herbs from the seed. Since windowsill gardens are rather small, you can plant seeds directly into the pots that you will use for the mature plants. Perennial herbs should be purchased as seedlings. However, for quicker harvest, you can transplant seedlings. The seeds of some herbs can take nearly a month to germinate, plus a few more weeks to reach harvest. Perennial herbs such as rosemary will take a full growing season until they are ready for kitchen use, so you will want to buy young plants to enjoy them sooner. Just make sure to let the seedlings get settled in after you transplant them, to avoid shock. Don’t expose newly planted herbs to extreme temperatures or changes in the environment. There are many potting mixes available at the nursery, and just about any of them will do well with your herbs. You want a mixture that will drain well, so look for one with some perlite in it. These are the little white pellets that look like beanbag filling. The pellets will help keep the soil from packing down, too. Water can absorb nicely into this soil, and extra water will drain out instead of rotting the root ball of your plants. You don’t usually need too much fertilizer for your herb garden. Too much will “burn” the plants, and will decrease the production of oils which make the herbs taste so good. As a general rule, container plants should only receive about ½ the fertilizer of garden plants. Good fertilizers for herb gardens include a fish based or seaweed type fertilizer. Sea Magic is an organic growth activator that is added to your watering can. Applied every 2-3 weeks, it will boost the growth of your herb plants, keeping them healthy throughout the growing season. Some herbs require a lot of sunlight. Rosemary, thyme, sage, and mint are popular kitchen herbs that require plenty of sun. When you grow sun-loving herbs in the windowsill garden, select a location that has southern exposure, with little overhang from the eaves of the house. There are also some culinary herbs that can do quite well with just a few hours of sun every day. Parsley, chives, tarragon, and cilantro will grow with only about 3 hours of sun a day. 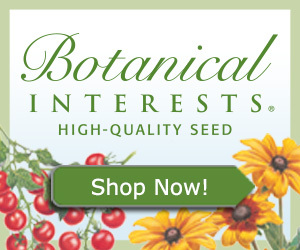 Just about every package of seeds or seedlings will include a summary of the ideal growing requirements. These instructions will include whether the herb plants you choose prefer full or partial sunlight as well as many other helpful growing tips. If you choose to keep your windowsill herb garden indoors, you may find you need to supplement the light. You can find grow lights to place in almost any window. These will provide the optimum type of light necessary for plants to grow and can supplement a window with limited sunlight. A simple method to add light is to purchase a task light and CFL bulb from your local hardware store. Clear Florescent Lights or CFL bulbs are very bright and include more than enough extra light to supplement the natural light from your window for a small windowsill herb garden. Many task lights are designed with a clamp which makes it easier to attach to a window or sill. The clamp can be attached to almost any surface making it a very flexible solution. LED plant lights can also be purchased that are designed to provide a full-spectrum light source for your plants. What Temperature is Best for Growing Herbs? Most herbs are fairly pretty cold tolerant. The daytime temperature in most modern homes (about 60-70 degrees) is perfect for growing herbs. They also appreciate a slighter cooler temperature at night, as do most people, so this works out quite well for the indoor herb gardener. If you have a window that lets in a lot of light but is a little cold in the winter, you can probably still grow your herbs there. Just set the herb plant a little bit away from away cool drafts. Some herbs that tolerate cool weather better include Parsley, Sage, Thyme, and Chives. That is one of the benefits of growing herbs indoors; there is an herb suitable for every environment! Most herbs do not like to have their feet wet. With that in mind, your choice of pots should be carefully considered. Don’t select an herb pot without good drainage holes. You will also want to include a tray or saucer underneath to catch any runoff, so you don’t want to damage your window sills with over-spill while watering. When growing herbs indoors, the minimum size container you should use for growing herbs is a 6-inch pot. This is a fine size for smaller perennial herbs such as thyme or one of the dwarf varieties such as Greek Oregano or Spicy Globe Basil. See our article on 10 Indoor Culinary Herbs that are suitable for your window herb garden. You can also choose to grow your herbs in a rectangle or trough-shaped windowsill herb garden planter. This can work well indoors or out since the shape is ideal to fit on the window sill or decking ledge. The personalized herb create to the right is a great gift idea for the gardener in the family. There are several outdoor windowsill herb garden planters which can be purchased that will include the hardware required to attach it to the window. If not window box brackets or flower box holders can be found at most of the larger hardware stores. For additional self-watering planters and other ideas to keep your garden watered without too much fuss, see our article on automatic plant watering systems. When you plant several herbs in the same container, as you would with something like the Stack a Pot from Akro-Mils, match the plants to the location. You won’t have much success if you mix plants with different sun and water requirements in the same potting system. For a windowsill herb garden that will thrive, make your plant choices according to similar needs. For example, you can design a Mediterranean herb garden with Rosemary, Thyme, and Oregano. The Mediterranean herbs prefer conditions with bright sun, good drainage and mild temperatures. Once you have created your windowsill herb garden, you will need to care for it. Most herbs, whether you raise them from seed or use transplanted seedlings, will prosper; growing more abundantly if you trim them. Letting them just grow without trimming them will often make them leggy and tough. As the plant grows larger, it takes more energy to supply nourishment to the new growth, and the supporting stems have to “toughen up” to support new growth. The new part of the plant is the only edible part, in most cases. If you frequently trim your herb plant, the supporting structure is not as bulky and won’t require as much water and nutrition. All of the plant’s efforts will go into new, edible growth, and you will actually have greater yield from your herb plants. Your windowsill herb garden can bring you years of enjoyment. Just remember, the herbs need to be trimmed to continue growing, so don’t be afraid to use them! Add flavor and variety to your cooking with a great balance of culinary herbs grown in your own windowsill garden.